My previous post was a list of my all time favorite places but because I find it hard to compare the different experiences, I decided to write a post dedicated to my favorite hikes. Hiking is the activity I do the most, and I’ve been on hundreds of hikes already in the past year and a half so I had a lot to consider. Similar to the list of overall favorite places, I found it nearly impossible to actually rank the hikes once I had narrowed it down to ten. However I do have a definite favorite three, which are listed first. The last seven are in the order in which I visited. My choices of favorite hikes were very much based on my personal experience and my reaction to the landscape but – more so than my favorite places – there was an objective element: Many of these hikes had spectacular views and led to incredible places. But although many of these hikes were places that inspired awe, all of them were hiking experiences that instilled joy and happiness. My visit to Mount Rainier National Park was one of my first solo excursions of the trip after my friend Carrie flew home and I was still adjusting to hiking alone. So although I was hardly the only person on the Skyline Trail, I felt a sense of exhilaration making my way up the mountain by myself. 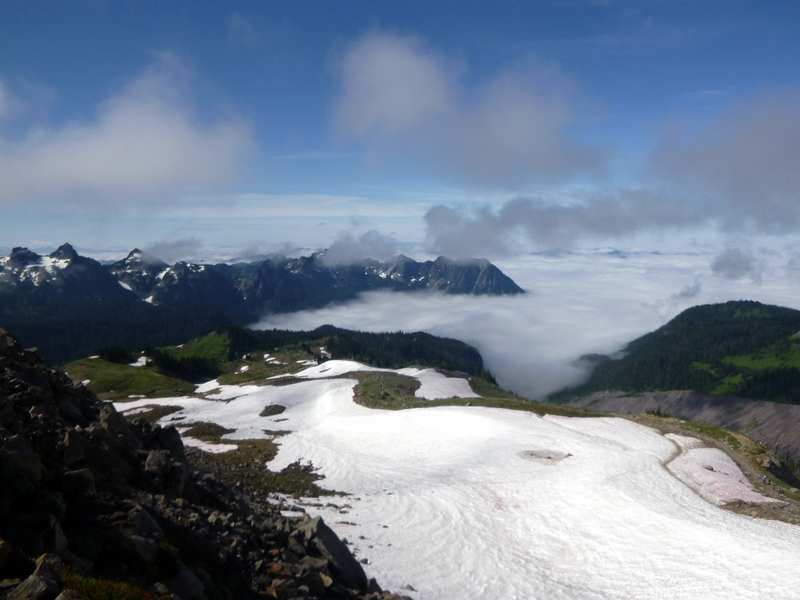 This feeling intensified greatly as I climbed above the meadows and began walking across the snow, first at eye level, and then above the glaciers and clouds. It was utterly stunning. The 11 mile Chesler Park Loop and Joint Trail spur was undoubtedly the second best hike in the past year and a half. My friend Rachel and I spent the better part of the day crossing the mesa, walking through the hoodoos, and climbing rock fins. It was a really incredible experience walking through this landscape not to mention getting to see such amazing sandstone formations. 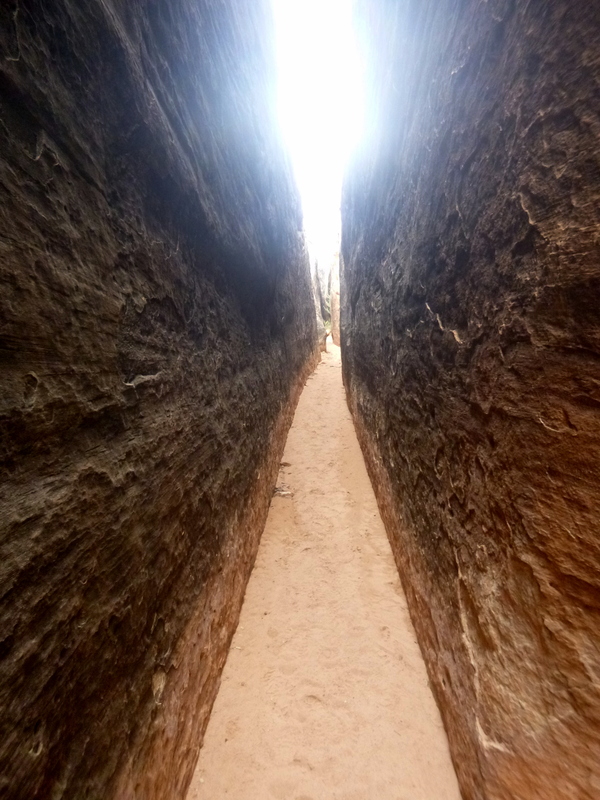 What cemented this hike in the second place spot however was the Joint Trail spur, an 0.8 mile shoulder-width crack in the rock that allows you to hike up to a hundred feet below the rim of the rock. Kind of the best thing ever. 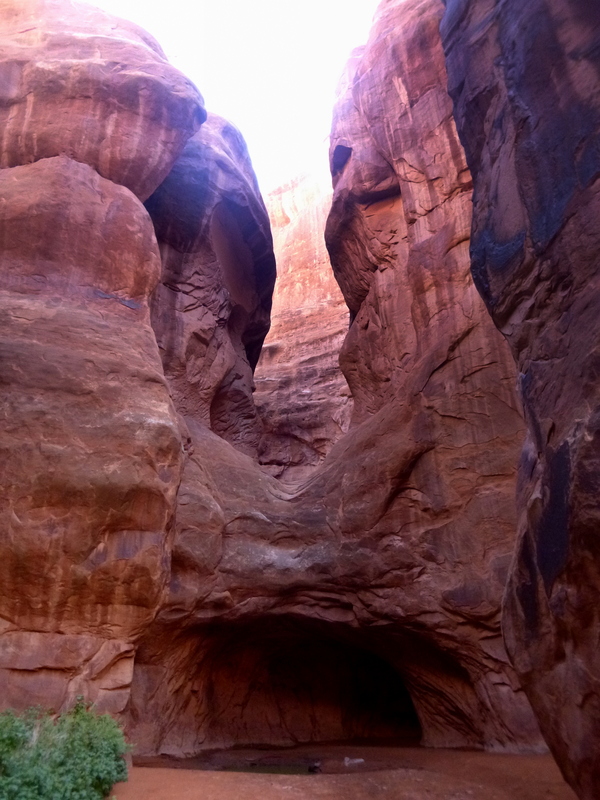 Fiery Furnace was another hike I did when Rachel visited me in September 2013. The clustered fins and rock formations here create a labyrinth and there’s no trail but — as long as you don’t get lost — there is an endless amount of exploring to be had. Rachel and I thus climbed around for about four hours, passing between and over the most spectacular rock fins and arches. It was a true adventure, a walk without a destination but with mind-blowing scenery. 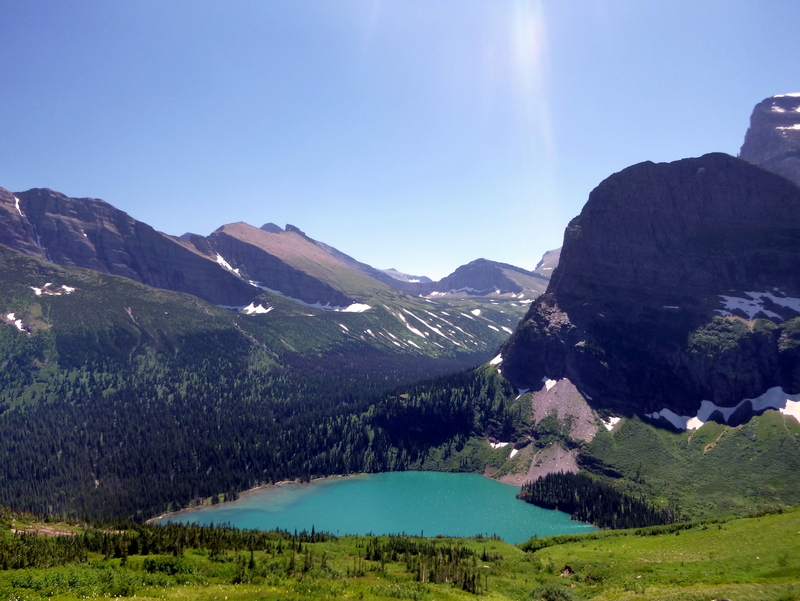 Although Carrie and I hiked the Grinnell Glacier Trail in July we were prevented from finishing it due to snow blockage and from even getting a glimpse of the glacier. Still, nearly the entire trail had expansive views of the mountains and the glacier-carved valleys as well as the deep turquoise color of Lake Saint Mary below. It was incredible. The Maple Pass Trail in North Cascades National Park was an incredible opportunity to hike on the ridge of a cirque, with peaks and glaciers all around. 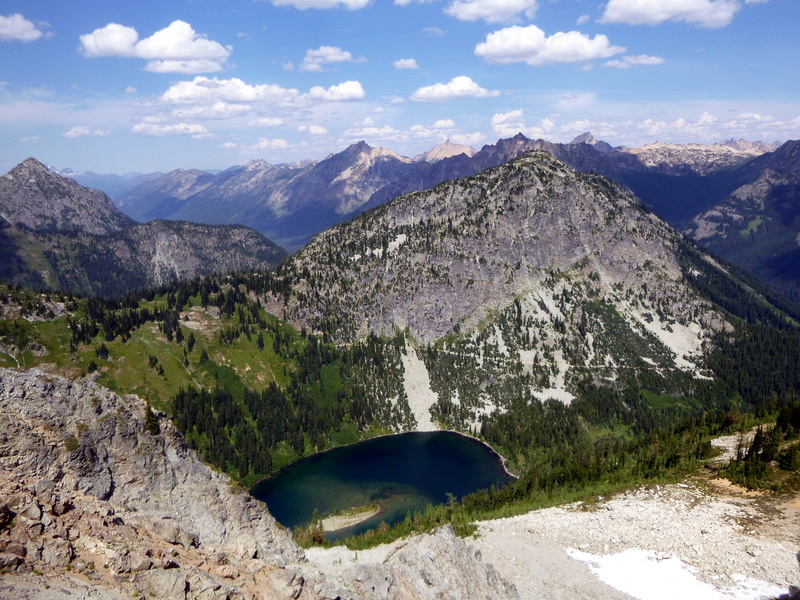 The views of the North Cascades Mountain Range from above the treeline were complemented by long stretches looking down on the hyper-blue Lake Ann and Rainy Lake and finally, a lovely descent through cedar forest. I felt like I could see forever from the top of the range. 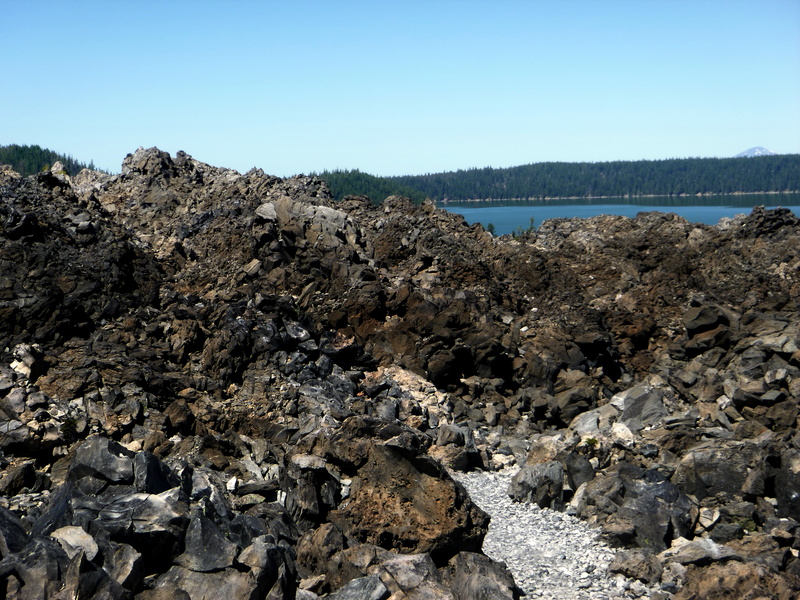 The Big Obsidian Flow is an approximately one square mile field of black volcanic glass intermixed with pumice. The obsidian is a deep black, and it was unbelievable to see so much of it deposited in one place, 150 feet above the surrounding green forest. I love volcanic rock and to see such a large amount of obsidian glistening in the sun was an amazing experience for me. My hike to The Wave in Grand Staircase-Escalante National Monument was unplanned and incredible, and also resulted in meeting a new friend. The landscape here is truly unlike anything I’m aware of, the banded multi-colored sandstone swirled into fantastic shapes. 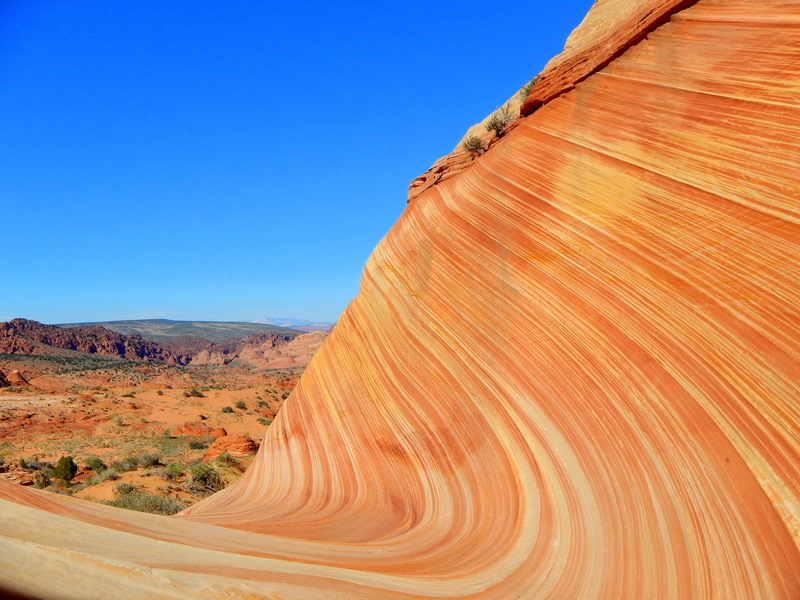 The Wave formation itself was a perfect organic twist of rock but the Coyote Buttes themselves would have been well-worth a hike in themselves. It’s still difficult to believe that this place exists on planet Earth. Chaco Canyon was one of my all-time favorite places and so its no surprise that one of my favorite hikes was here. 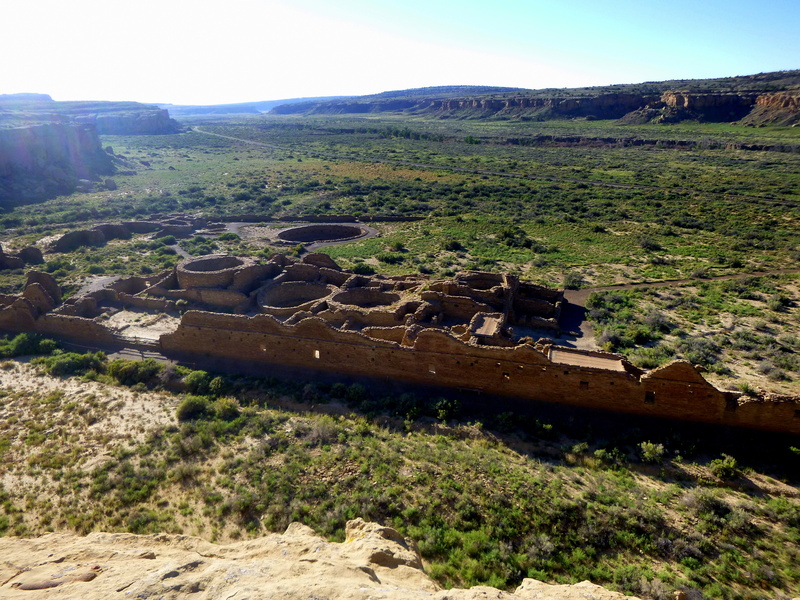 The Pueblo Alto Trail is a hike on the mesa that follows the canyon rim for a couple miles providing unique aerial views of the huge Ancestral Puebloan great houses below, each of which contain hundreds of rooms. The trail then leads across the mesa to two partially-excavated houses which may be explored in depth. 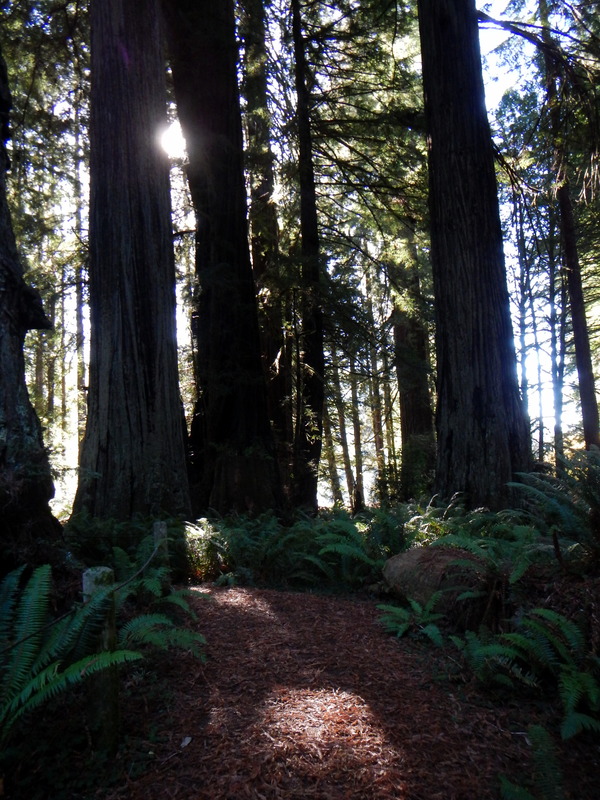 I loved, loved, loved the redwoods but of what I saw between the national park and some of the state parks, my favorites were in the Prairie Creek Redwoods State Park. Prairie Creek differed slightly as it was a more densely wooded area, with thicker duff and more ferns carpeting the forest floor. Combined with the trapped moist, coastal air, I felt enfolded in the dense atmosphere, a tiny being wandering amidst giants in a mythical land. I hiked here for hours going from trail to trail – the names of which I didn’t really paid attention to until it was time to find my way back to my car. I came upon this hike by a stroke of fortune after talking to a local farmer who suggested I visit. The five mile loop is spectacular in its entirety, showcasing heath and dense berry bushes clinging to the exposed bedrock along the ridge, but the mile and a half section along the coast was more beautiful than I could describe. 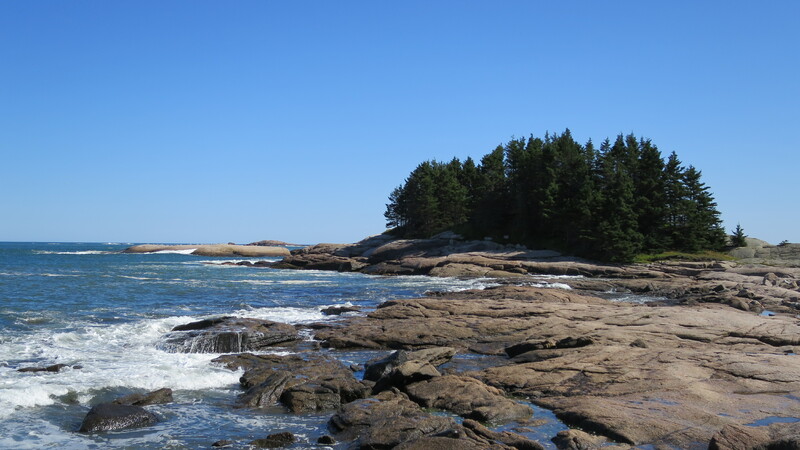 The trail here leads over swaths of basalt shore and huge granite boulders with views of the most beautiful blue water and forest. It was captivating.